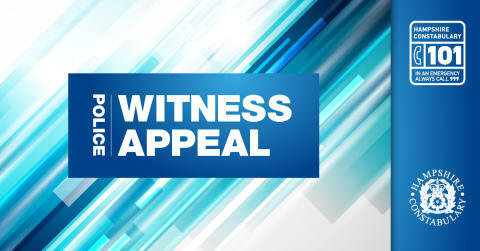 We are appealing for witnesses to a robbery which took place in Basingstoke. Between 3am and 3.30am on Tuesday 20 November, the victim, a man in his 30s, was walking through the underpass between Freemantle Close and Daneshill Industrial Estate when he was pushed to the floor from behind. A man then held him down while another man stole his wallet from his back pocket. Both men then left the area – one on foot and the other on a bicycle described as a silver Carrera. The first man was described as white, medium build, aged between 20 and 30 years, around 5ft 6ins tall, with scruffy mousy hair, a very drawn face and sunken eyes. He was described as wearing a dark blue puffer-style jacket. The man on the bike was described as white, medium build, aged between 20 and 30 years, around 5ft 6ins tall, with tidy dark hair. He was described as wearing dark tracksuit bottoms with white horizontal stripes running down the legs. We would like to hear from anyone who witnessed the incident, or saw two people matching this description in the area before, during or after this time. If you have any information, please contact us on 101, quoting 44180435129, or call the charity Crimestoppers anonymously on 0800 555 111.